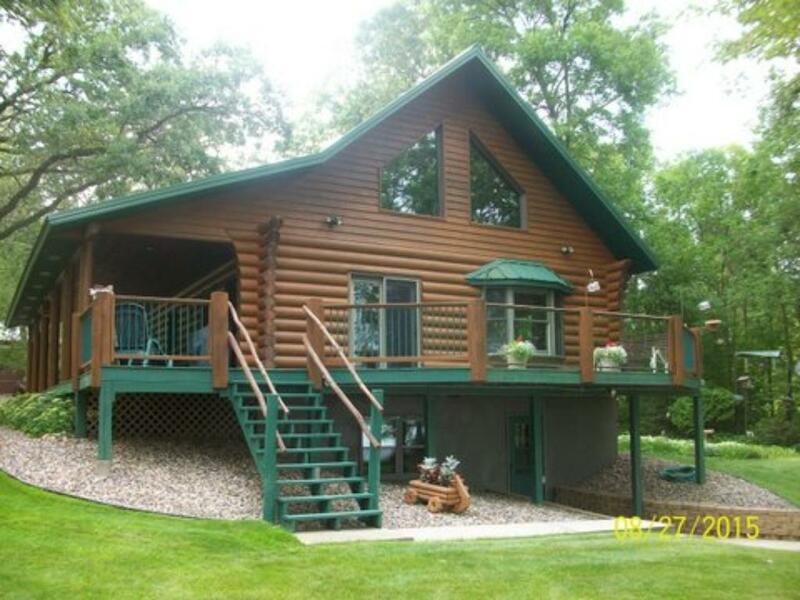 Latimer Lake Log Dream Home on 1.46 acres & 137 feet of Lakeshore. This property checks all the boxes, Level, Private, 4 Bedrooms, 4 Baths, Plus 3/4 Bath House, Open Floor Plan with wall of windows lake side & overlooking Loft. Master, Kitchen, Dining Great Rm, 2 Baths & Laundry all on main floor, plus large Lake side Deck. Outside, Double Garage 24x26, Additional Garage/Shop 40x48 for all the toys, & more, storage shed & Block Bath House, Flower Beds & nicely treed also add to its charm.